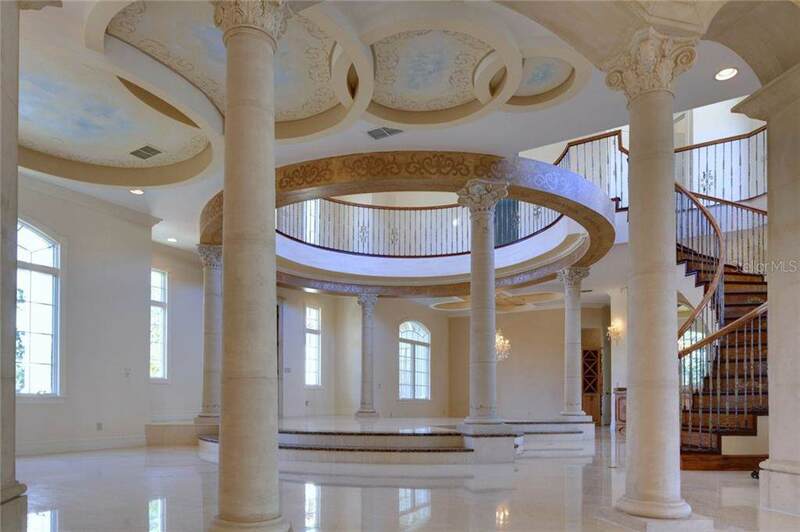 Massive 1 acre Mediterranean estate located on the much sought after Millionaires Row in Dr. Phillips. This breathtaking 7 bedroom 6 bath home features an unmatched combination of location, acreage, and privacy. 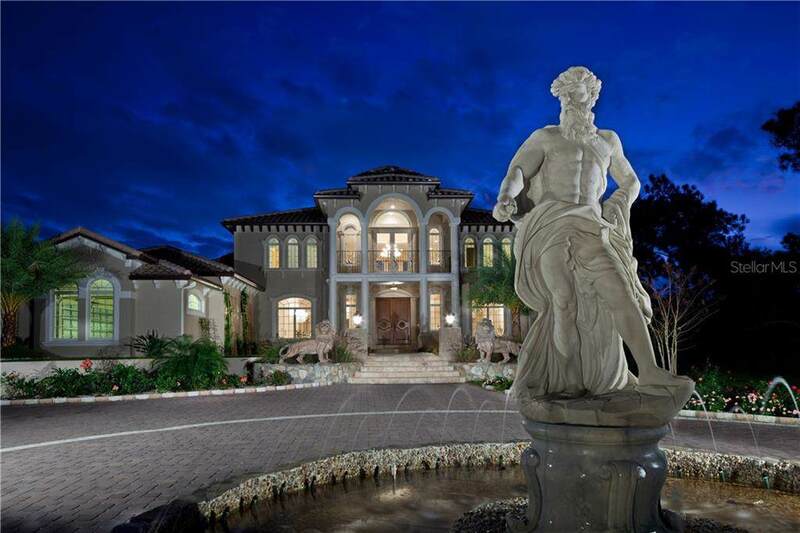 As you step through the front doors you're immediately greeted by the splendor of imported Italian marble, a large winding wrought iron staircase, hand painted art work, stone columns, beautiful arched windows, and soaring 3 story ceilings. Encompassing 9,380 total square feet and 6,670 square feet of heated living space this property is an entertainers dream. From the dream kitchen with its handmade custom cabinetry, double ovens, 2 dishwashers, built in coffee maker, and steamer. To the palatial master suite with its beautiful venetian plaster, his and hers closets, and a luxurious spa bath. Interior amenities also include a theater room, exercise room, massive game room, and maids quarters with a separate entrance. The homes courtyard design is perfect for entertaining with its large wrap around covered patio, private garden, outdoor kitchen, and sparkling pool with a hot tub, beach area, and soothing rock waterfall. You will know you've arrived as you enter through your private gate and travel down the huge circular drive. With Sportsman's Club access to the Butler Chain of lakes just down the street, famed Restaurant Row just down the road, and a short drive to every major theme park the location just can't be beat.